La-La Land Records, 20th Century Fox and Sony Music are proud to present the expanded and remastered 2-CD reissue of renowned composer John Williams' (JAWS, STAR WARS, SCHINDLER'S LIST, LINCOLN) original motion picture score to the 1978 Twentieth Century Fox supernatural chiller THE FURY, starring Kirk Douglas, John Cassavetes and Amy Irving, and directed by Brian DePalma. One of John Williams' finest scores gets an upgrade from the previous Varese release, with a running time of more than an hour and fifty minutes and improved, stunning sound (especially on Disc 2, the original soundtrack album). Disc One contains the film score and bonus tracks, while Disc 2 houses the remastered original soundtrack album. Produced by Nick Redman and Mike Matessino, produced for Sony Music by Didier C. Deutsch and mastered by Dan Hersch, this special limited edition of 3500 units features exclusive liner notes from film music writer Julie Kirgo. A must for all film music enthusiasts! 5/5 This score gets better every time I should hear it, trust me this release is getting a lot of rotation in my home. 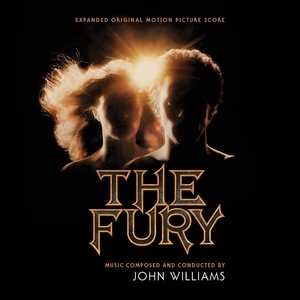 John Williams is the master and it is no different here...this is a must for Schorror-fans!